What Lies Beneath Norfork Lake? Norfork Lake Tourism welcomes you to the 2018 BassCat Boats Owner Invitational Tournament. For your convenience, Norfork Lake Tourism is pleased to provide you with Norfork Lake area information with the hope to make your visit more enjoyable, comfortable, and wildly successful. If this is your first visit to Norfork Lake, please check out our on-line lake map. Norfork Lake is a big lake, over 40 miles long, so you might want to get oriented before your arrival. Detailed fishing maps are available from most resorts, marinas, and tackle shops. 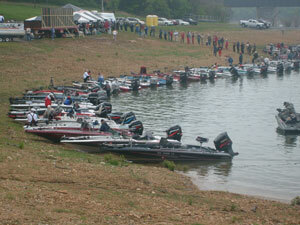 The BassCat Owners Invitational Tournament takeoff point is historically between Panther Bay and Henderson. Like us on Facebook to receive late breaking Norfork Lake news, lake conditions updates, and announcements as tournament day approaches. Stay at one of the Norfork Lake’s many resorts. The Norfork Lake lodging operators eagerly await your arrival. Our owners can provide you with lake fishing and area maps, direct you to their favorite fishing hot spots, and provide you with a wealth of local fishing information. Most resorts stock tackle specific to Norfork Lake, ice, and grocery essentials. 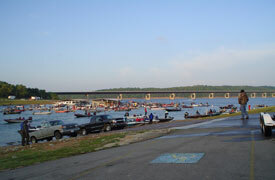 Resorts are located throughout the different areas of Norfork Lake. Many have docks with launch ramps on-site or nearby. Those that do not are located blocks from commercial marinas that rent boat slips and have hard surface launches. Norfork Lake resort lodging is convenient, friendly and secure. Staying at a resort that has a fully equipped kitchen gives you freedom of choice when it comes to mealtime. And if BBQ is important you, use your resort’s grills. That’s one less thing to pack! Experience the Lake Lodging Advantage. It might be that edge you’re looking for. There are nine marinas conveniently located around the lake. Our marinas carry fresh, high and mid-octane ethanol free fuel for your high performance outboards. You don’t need to trailer your boat to a gas station for your fuel needs. Need a mechanic? Certified mechanics are available to help solve those unexpected problems. Our marina stores carry a wide selection of marine supplies as well as bait and tackle. While you’re stopped for a refueling check out the souvenirs, grab a cold drink, bag of ice, or sandwich. You may want to rent a boat slip while you’re here. All marinas have slips available.Make your trip a one launch trip. 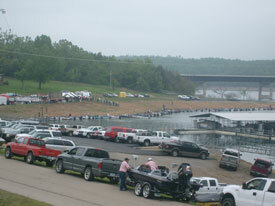 The Norfork Lake marinas welcome your visit. Breakfast, lunch and dinner are all available at the Norfork Lake area restaurants. You are not far from that fresh cup of hot coffee, slice of homemade pie or made to order meal. Our Norfork Lake restaurants provide that personal attention that just isn’t available in the chain restaurants. You can eat “chain” food when you get home. Norfork Lake has a variety of restaurant types. Mouth watering steaks or prime rib, homemade desserts, omelets made the way you want them, pizza, and sandwiches. You can find a restaurant to suit your mood. Want a restaurant with a view? Want the comfortable convenience of a roadside diner? Want a cold beer and game of darts? Try our Norfork Lake Tourism restaurants. Sample our local cuisine. You’ll be glad you did. Our Norfork Lake tackle shops are great places to pick up that lure you’ve been wanting to try, get your Arkansas fishing license, advice on current lake and fishing conditions, and that fishing tip only those in the fishing business can give. Get it all near the lake. Maps, ice, propane, groceries, hot coffee and cold drinks are available without the long lines found in larger discount and grocery stores. Get in, get out and get what you want. They open early and close late. Norfork Lake stores are convenient, friendly and ready to serve you. Want to know more about Norfork Lake? 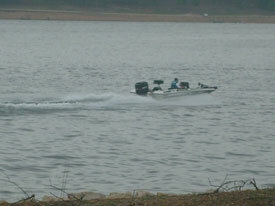 Norfork Lake Tourism’s website is full of information about the lake. How the lake was formed, things to do, places to visit, and area information are at your fingertips. Just start at our home page and let your mouse do the walking. 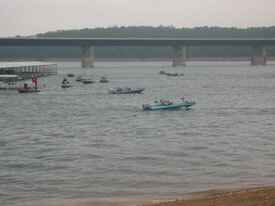 The 2008, 2009, and 2011 spring rains and subsequent higher water events produced phenomenal spawns of bass and other Norfork Lake species. The Arkansas Game and Fish Commission predicts that starting with the 2011 season, fishing on Norfork Lake will be incredible for years to come! Check back often as the takeoff date gets closer. Our members will be posting news and special information specific for BassCat Owner Invitational anglers on this page. 3287 Hwy 101 at Howard Cove RD.